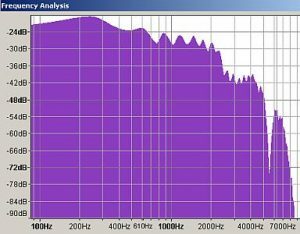 Tags: Audacity tutorials, Audio compression tutorials. If you want zero cost DIY mastering, then the only option is to use open source audio editing software such as Audacity and Voxengo R8brain. Let us make this tutorial very simple for you as I assume you are in desperate need to self-master your work. When can you get this format right on the first place? The answer is during the mixdown. When an audio mixing engineer performs a mixdown; where all tracks are bounced to stereo; make sure the saved format are using any of the above specifications. Never use 16-bit/44.1KHz WAV or an mp3 file as an input in mastering because it won’t sound good even with upsampling. b.) Make sure the input wav file for mastering does not clip beyond 0dBFS. The maximum peak should somewhat lies between -3dBFS to -6dBFS. c.) There should be no compression applied after the mixdown. 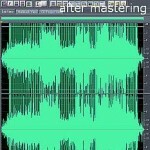 Compression can be done later in the audio mastering stage. a.) Go to this page and click version 1.2.11 download link on Windows. c.) Go to this folder and cut c3multibandcomp_1_2 then paste to Audacity plug-ins folder. d.) In Audacity, go to preferences – Effects – then check “Rescan VST effects next time Audacity”. e.) Close and exit Audacity. Restart it; you can then use the plugin. 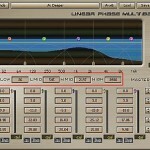 How to use the multiband compressor?